American Continental Insurance Company (ACI) was founded in 2005. It is located in Brentwood, Tennessee and is a company that sells health and life insurance products. In 2006, American Continental was acquired by Genworth Financial Company. Enter your zip code below and compare health insurance rates from multiple health insurance companies. American Continental has an AM Best financial rating of Excellent with a long-term outlook of positive. However, the company’s finances are currently under review and their status may change after the review. The reason for this is that their parent company has a negative long-term outlook. Currently, Genworth has an AM Best credit rating of bbb, which is good with a negative outlook. This outlook is based on the company’s investments as well as the market outlook. The company does not currently have a financial rating. All of the policies for this company are underwritten by Continental Life Company of Brentwood who has an AM Best rating of A- and a long-term positive outlook, although the company’s finances are currently under review by AM Best. Agents for American Continental are independent. Independent agents work for independent agencies or brokerage firms that help to create packages for their clients that best suit their needs. The benefit here is that your agent will work to find you the best insurance company available rather than focusing on one insurance company. The downside to an independent agent is that they can only sell policies from the companies that they are licensed to sell. What this means is that a company might have a license to sell Progressive, State Farm, American Continental, but have no ability to sell AllState, Blue Shield or other major lines of insurance. You are not able to file claims online with American Continental, nor do they offer a claims number for you to call if you have a claim to file. If at all possible, you should use your insurance at facilities that will direct file with your insurance carrier. Most will, so you should not have too much difficulty finding what you need. If you have a claim that hasn’t been paid by American Continental and you don’t know why, your best option is to talk to your independent agent so that they can determine what the hold up is and work to get your claim paid. Genworth Financial has over 6,000 employees in 25 countries. If you want to work for American Continental, then you need to understand that you will actually be working for Genworth. There is no mention of paid time off or paid holidays for employees, although these are likely to be part of the benefits for working for this company. On the Genworth Financial website, they do offer tips for potential employees on how to make a good impression during their interview. These include things like researching the company, looking good for the interview, asking questions during the interview and more. They also offer an internship program for recent college graduates, career development programs, leadership programs, financial development programs and IT development programs. American Continental does not offer a quote tool on their website for the products that they sell. However, if you want to get a quote for this company, then you should find an agent in your area that is qualified to sell American Continental insurance. He or she should be able to get you quotes in a short period of time. 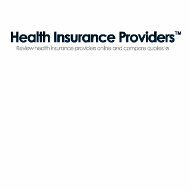 If, however, you are interested in getting quotes from the companies that offer you the lowest price for your health insurance, then you have other options. For example, you can enter your zip code below and compare health insurance quotes from multiple companies with the lowest prices on the products that you need. I just talked to an agent to get a quote for medicare supplement insurance in NC. The agent was very helpful and said she would email me an application today. The rates were very reasonable of course medicare dictates what they cover for the different plans. I hope things go well once the policy starts. Anyone else that has experience with their medicare supplement coverage with this company please let me know. I have had American Continental as my Medicare supplement for four years now, and my husband for many years before that. He died in 2008, with lung cancer. I have no complaints at all about this insurance, as they have covered everything after Medicare. I don’t know what we would’ve done without it! I do have one question, may I pay my premiums online? It would be convenient, but I don’t see that option anywhere..? I tried to call the company for a few questions. (not the agent who is nice but is a salesman)I held for over a half hour. Called again on a second phone. Held for another half hour finally someone picked up the first line. Said, can I help you. I said I want to speak to someone about my Medicare supplement. she said, Hold on. Guess what. Another half hour. Finally, the phone was answered by a nice lady named Sharon. She confirmed that my application had been received and I would receive my package next week. That was last week. Still no package. I think this company is a joke. Anyone depending on them is a fool. Their number is 800-264-4000. Try it, you won’t believe it. The only reason I gave them a 1 star is a star is required to post this review. They have no respect for their customers. I took out the disability insurance I have had my Dr fax in their form 3 times this month and my employer fax three times this month and they say my claim is pending the claim form. what a joke this company is. This is the worst company around. Do not waste your money on their accident insurance. They will not pay. I had to have surgery due to a torn cartilage in my knee. I sent them over twenty different pages of info. They got it in November 20, 2013. Did not get a response until December 20, 2013. That they needed more info. Sent them back 10 more pages from Dr.
Now they have denied because I can’t tell them the exact date I did this. Big waste of money. The appeal will be handled through my attorney . It took them all this time for nothing. Canceling this policy. MY HUSBAND AND I BOTH HAVE HAD AMERICAN CONTINENTAL HEALTH INSURANCE THRU AETNA FOR YEARS………..WE HAVE PLAN G AND I CAN TRUTHFULLY SAY…IT IS AMAZING…IT PAYS EVERY PENNY THAT MEDICARE DOES NOT PAY. YOU WILL NOT GO WRONG IF YOU CHOOSE THIS MEDICARE SUPPLEMENTAL PLAN.